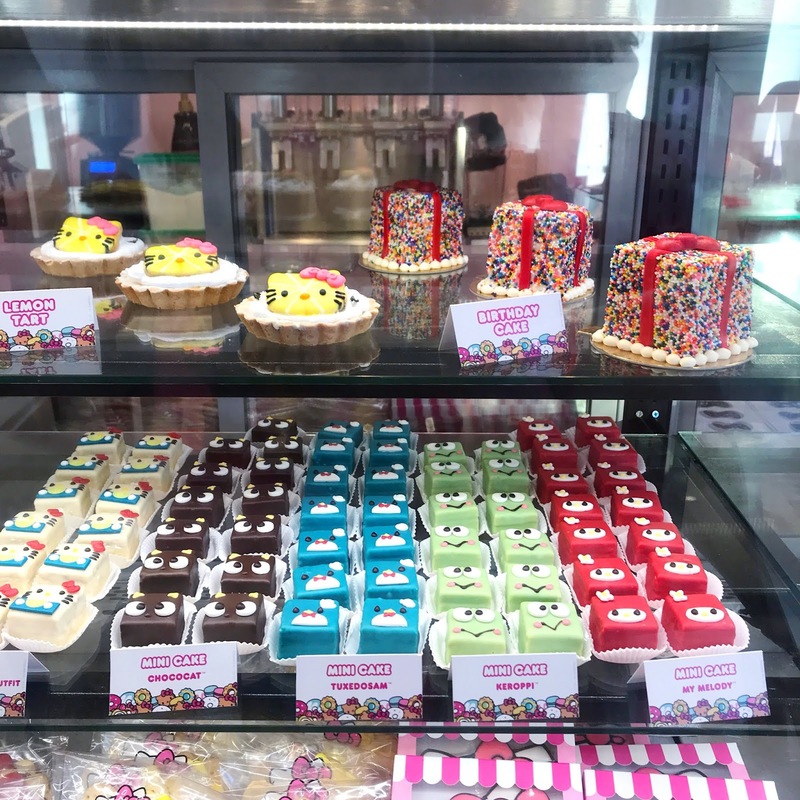 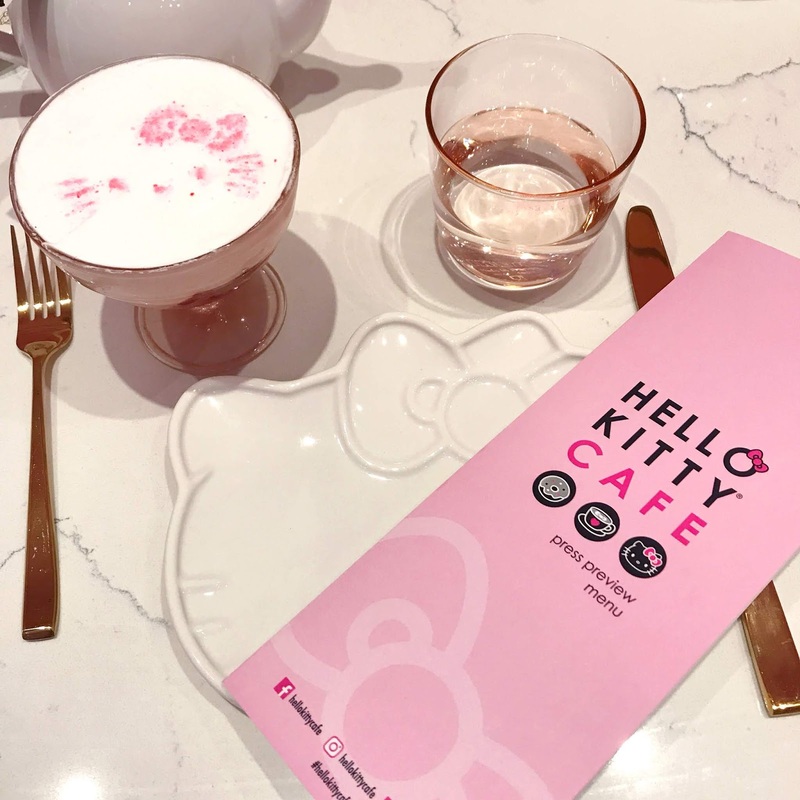 I got to preview the amazing Hello Kitty Grand Cafe a few weeks ago and I'm still dreaming about how perfectly kawaii this place it! 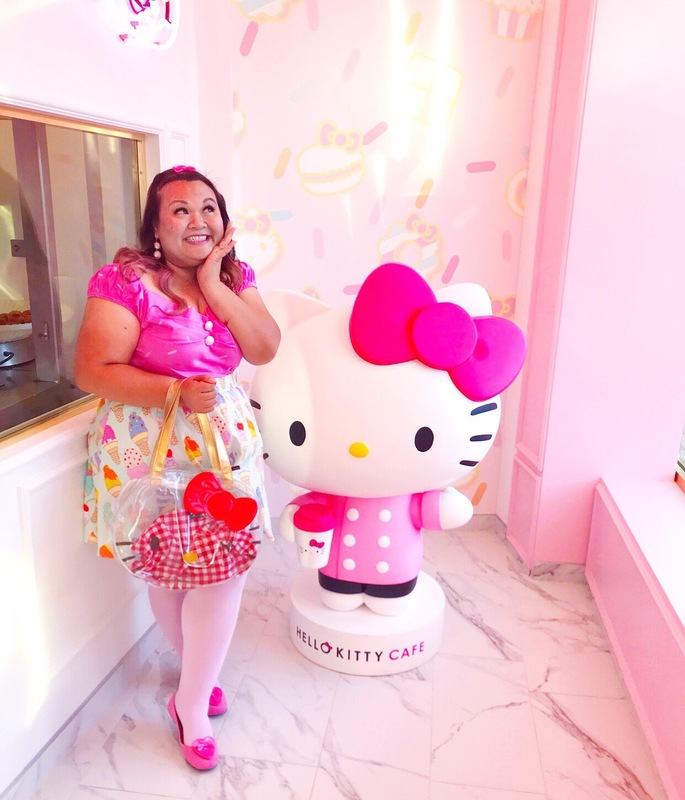 My adorable friend Jaycee (@MagicallyKawaii) invited me so I felt so lucky to see it right before it opened. 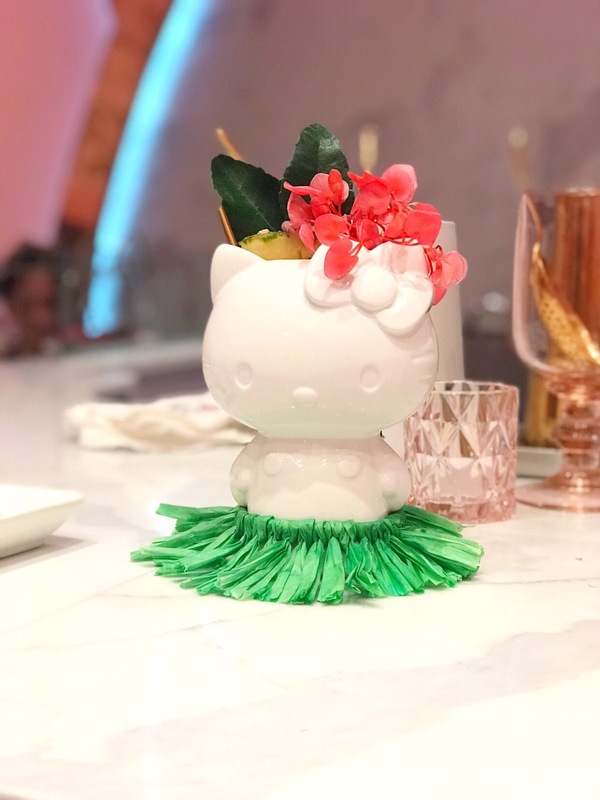 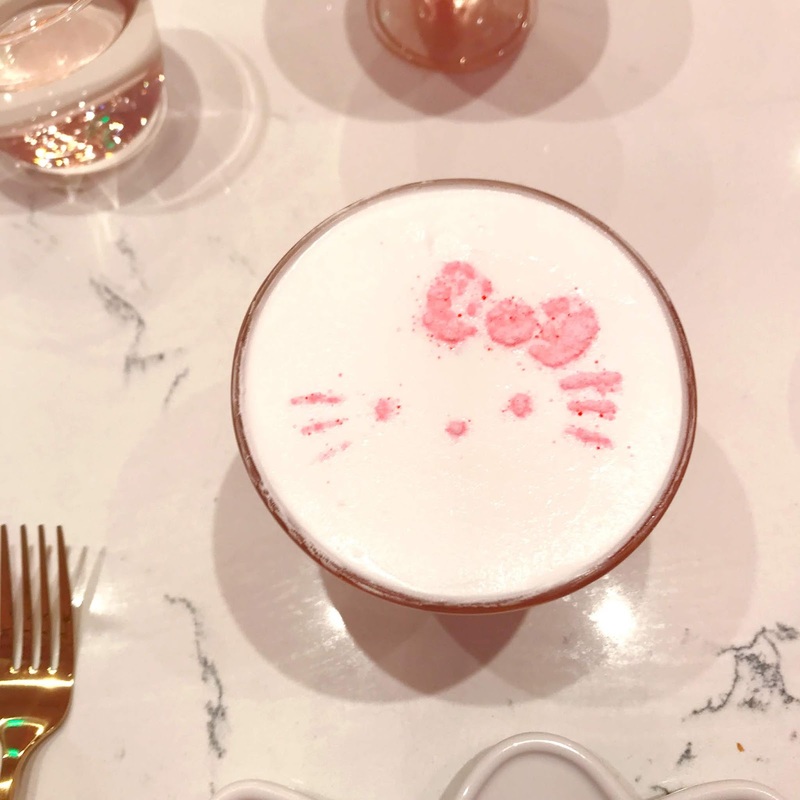 The Hello Kitty Grand Cafe is the first cafe of it’s kind in the US. 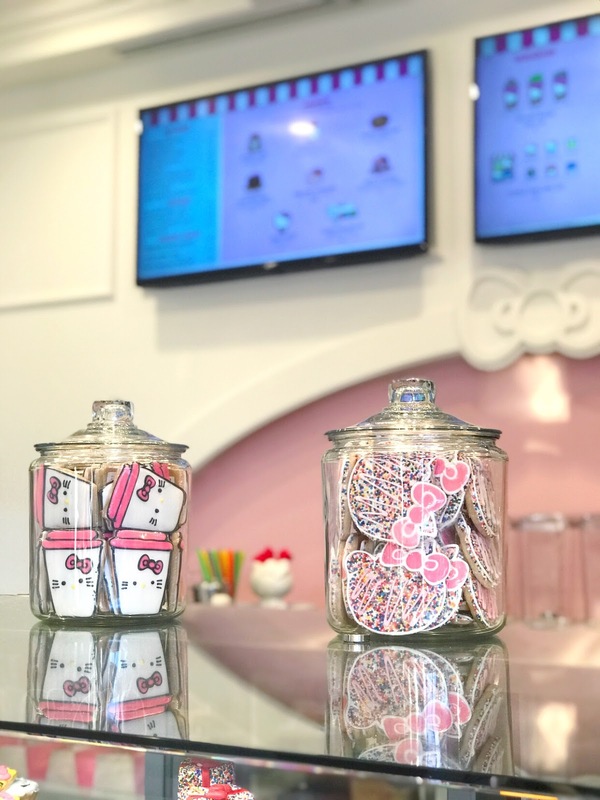 There are two parts to the cafe; the front room features cookies, donuts, seasonal goodies and handmade hot and iced drinks as well as merchandise. 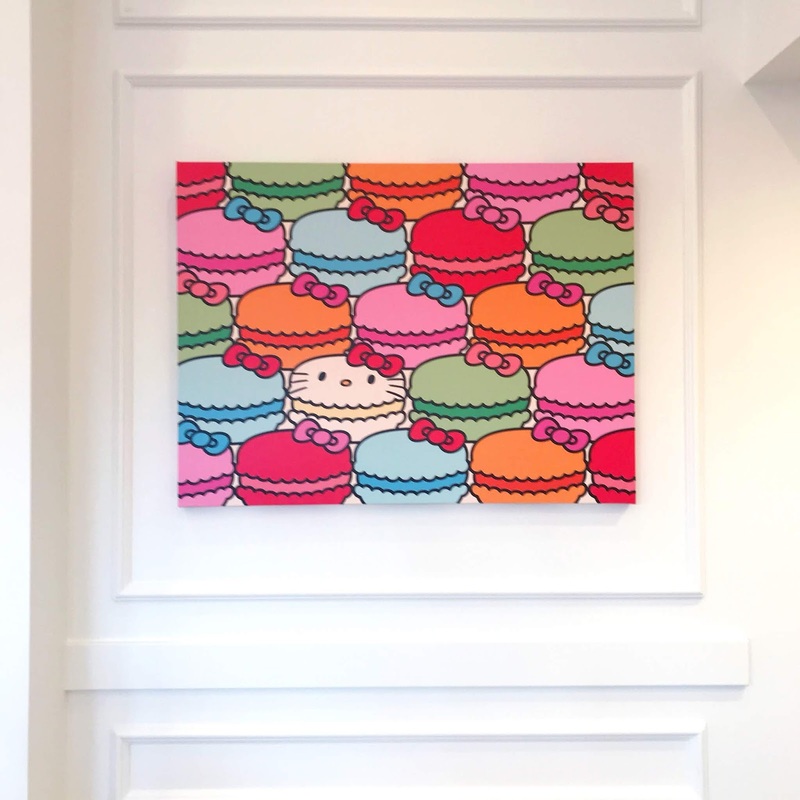 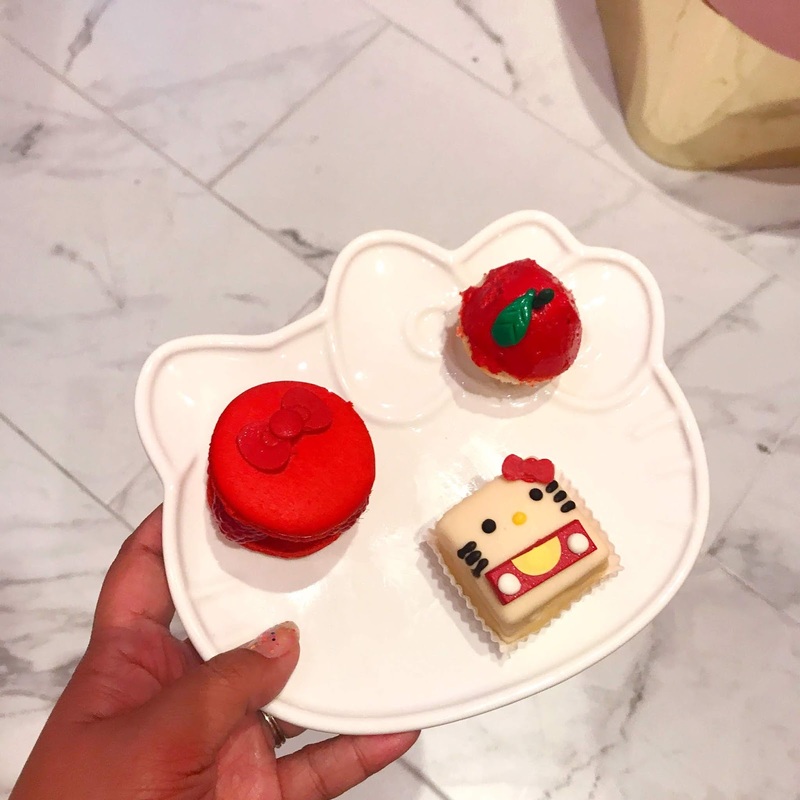 It's so freaking cute with adorable Hello Kitty artwork, a little chef Hello Kitty you can take a pic with and an adorable "Hot Donuts" sign. 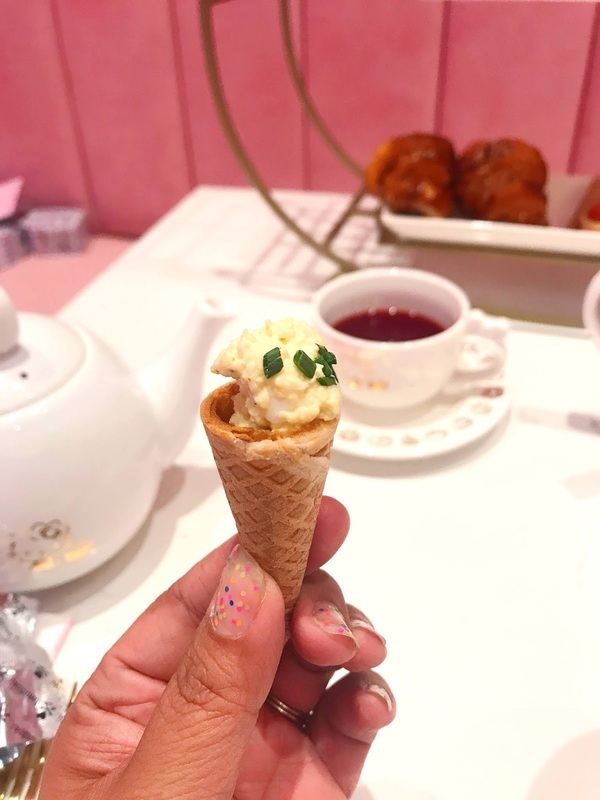 Literally everything is Instagrammable. 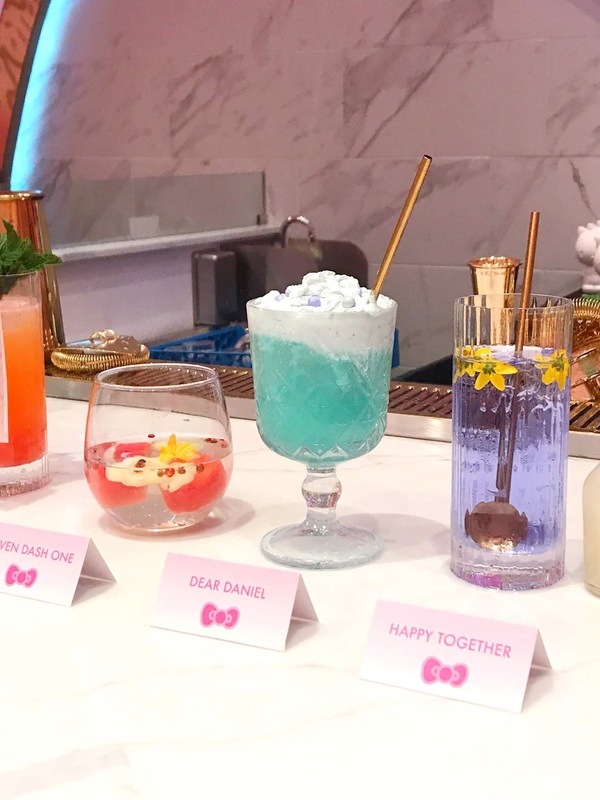 The second part of the cafe is The Bow Room! 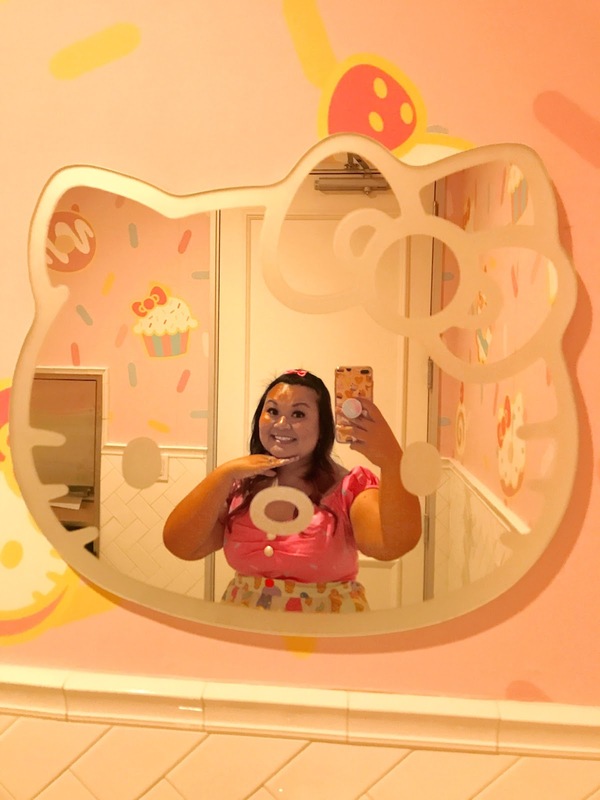 The Bow Room is a secret (maybe not so secret now) room right behind the front cafe that served afternoon tea during the day and becomes a Hello Kitty bar at night! 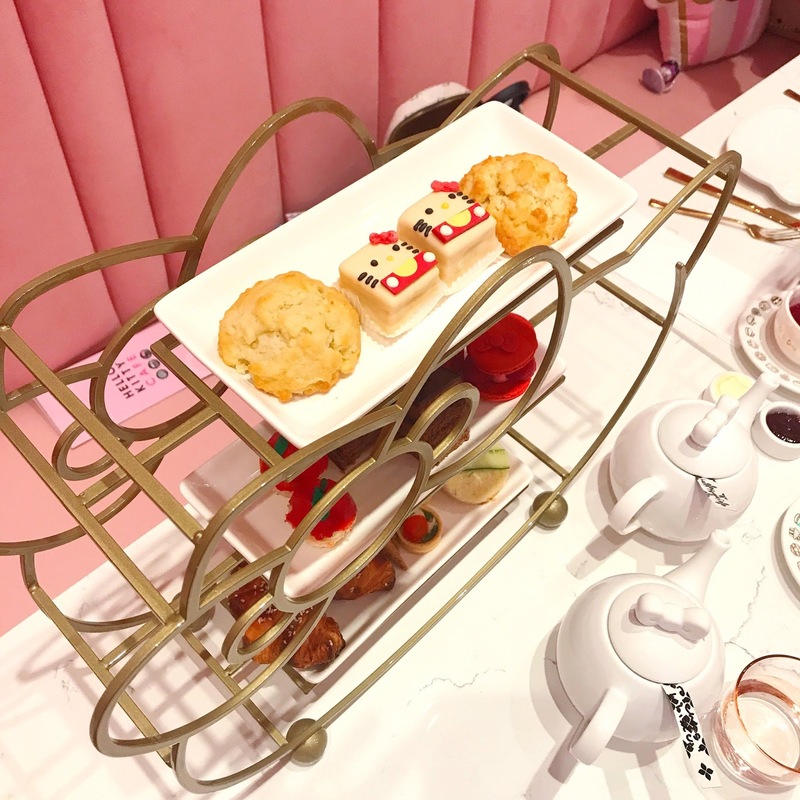 The Brow Room is reservations only so I would start booking your tea stat because it is something else! 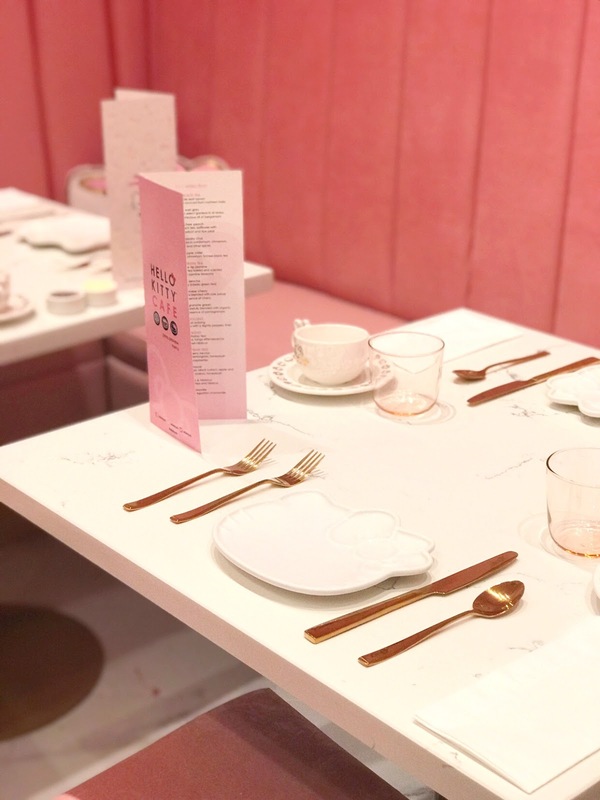 It is very reminiscent of the London pink teahouse destination, Sketch London, but I think The Bow Room is definitely cuter! 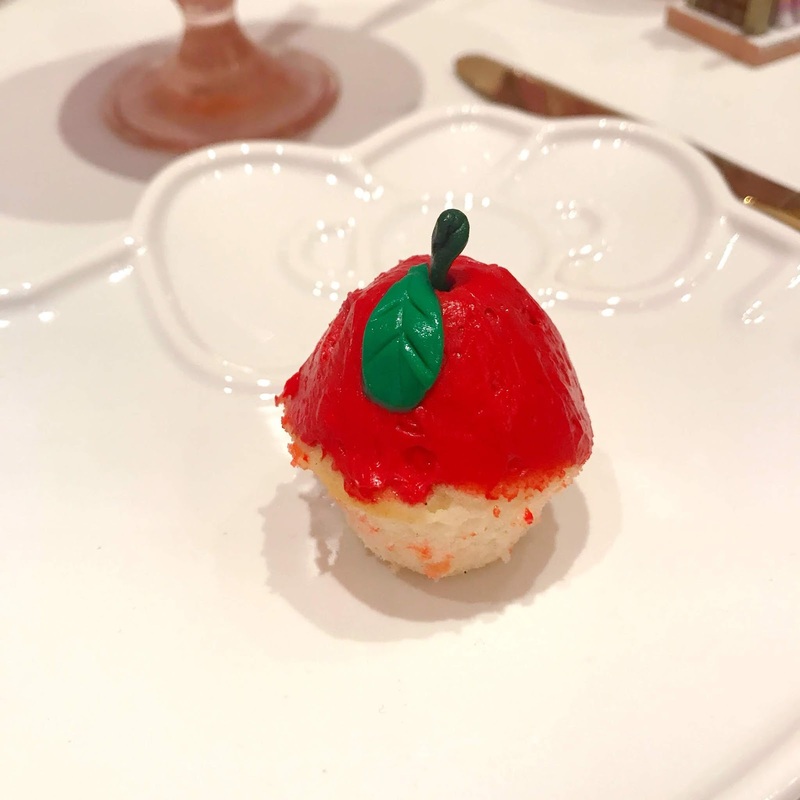 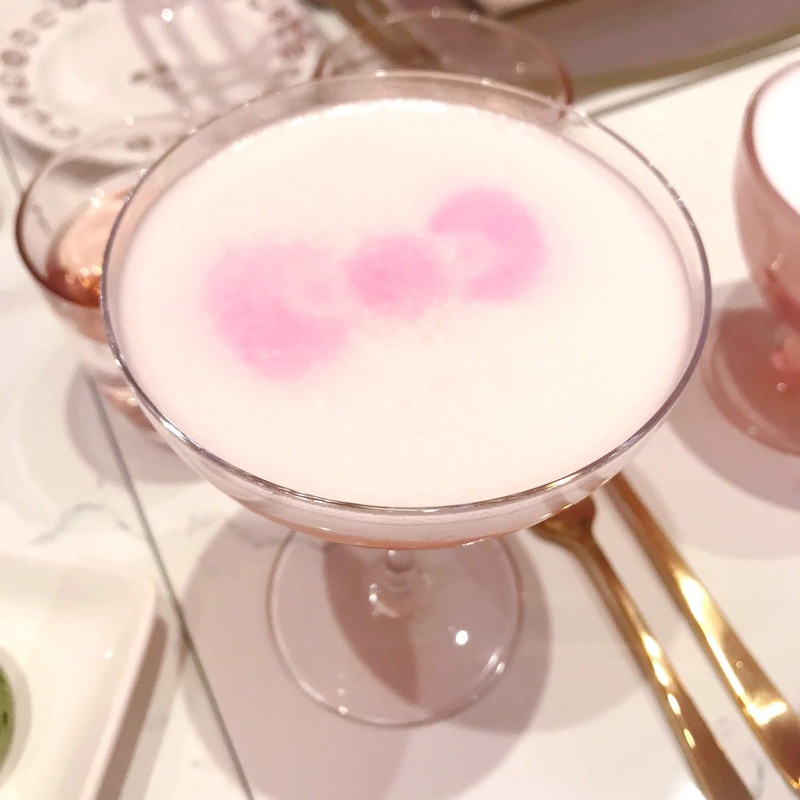 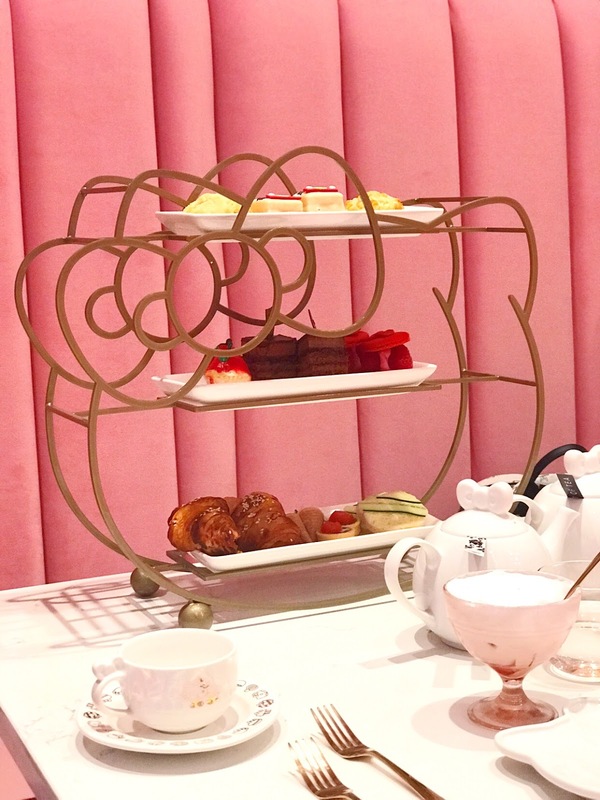 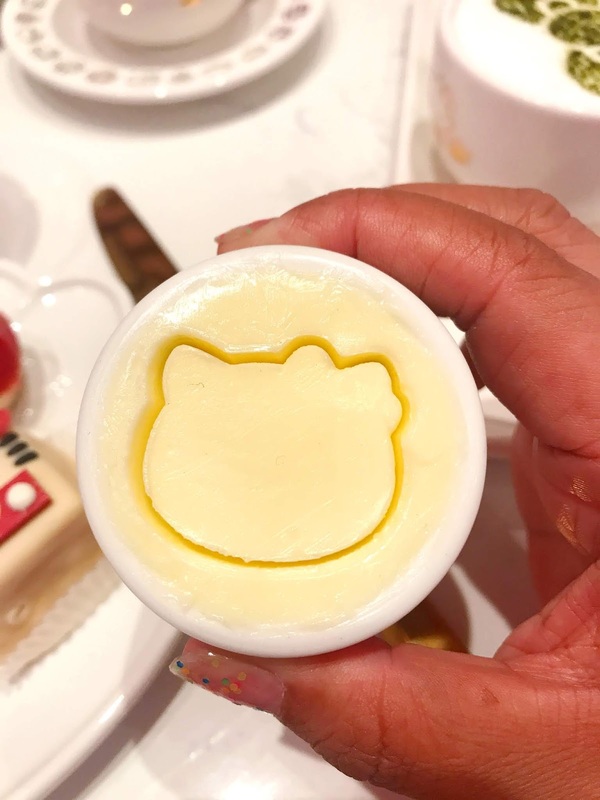 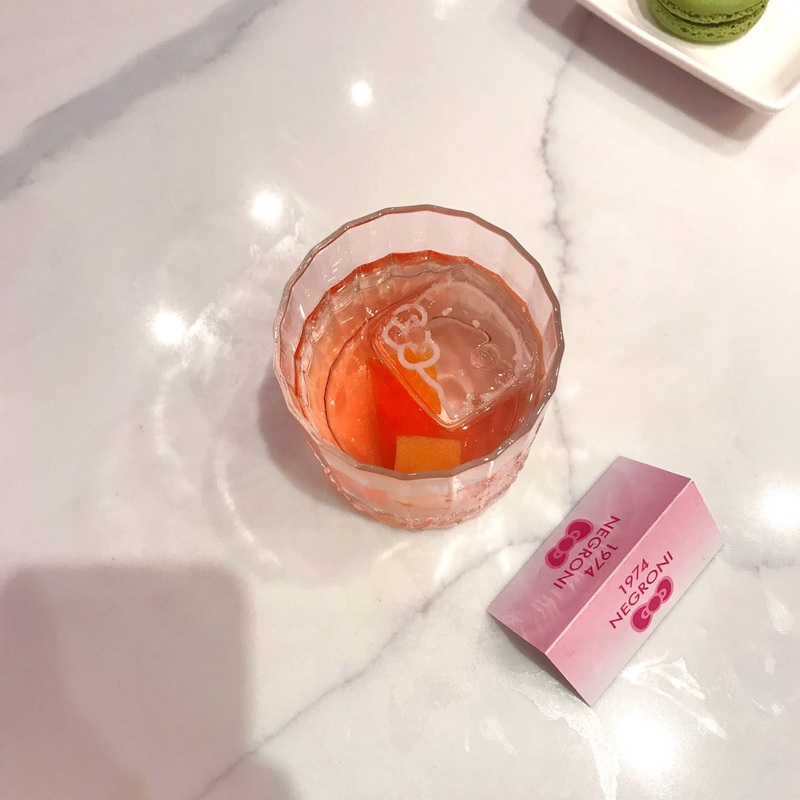 The details are amazing; from the cute Hello Kitty plates you get served on, the one of a kind Hello Kitty shaped tea sets and even the butter imprinted with Hello Kitty's cute silhouette. 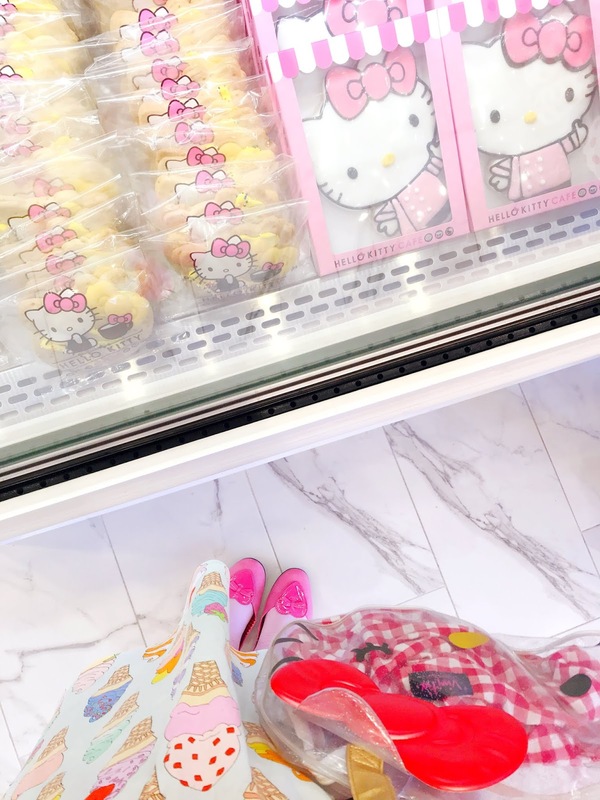 Take a look at all the adorable photos I took below to get a sneak peek of all the cuteness of the cafe. 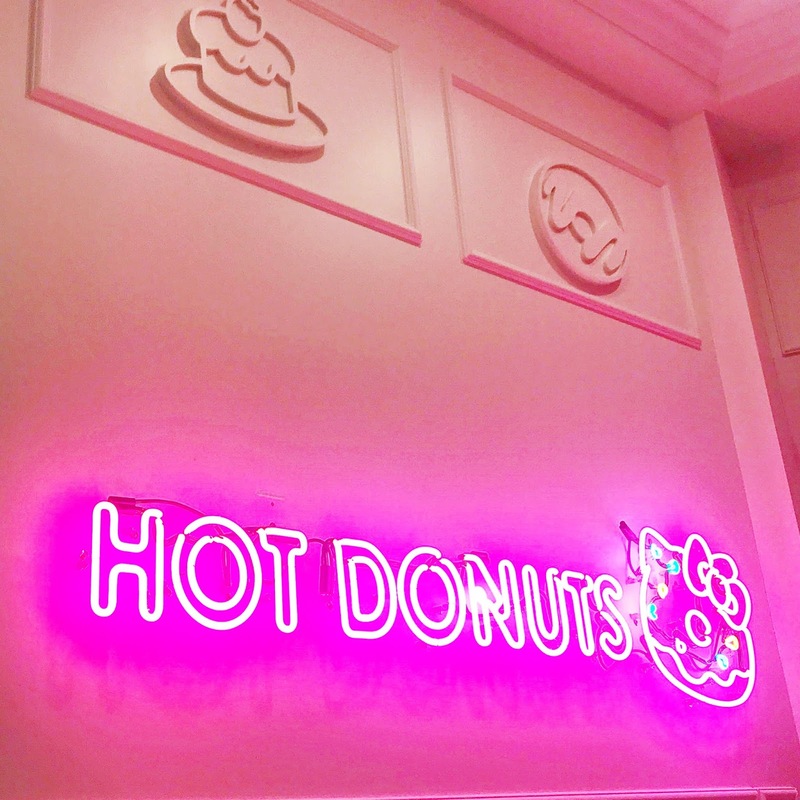 Below are some deets and let me know if you go!